Site Category: Optometric / Eyecare services in Whittier, California. 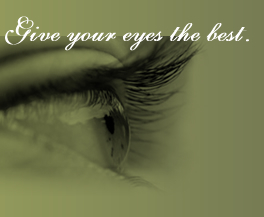 Site Description: Dr. Aaron D. Adame is a professional eye care doctor (optometrist). Our family eye care center provides the highest quality eye glasses, and contact lenses. Home: Dr. Aaron D. Adame provides professional eye care services for you and your family. About Dr. Adame: Dr. Adame worked seven years for a well known ophthalmologist, Dr. William De La Pena, M.D.. In 1996 he obtained his optometry board certificate to treat and manage ocular eye disease. Dr. Adame speaks both English and Spanish. Eyecare Services: Our office can provide comprehensive eye exams, treatment and management of eye disease and contact lens fittings. Eyewear and Optical: Our highly trained technicians will discuss with you all your frame and lens options for your new eyewear. They can also provide information regarding our onsite optical lab, safety glasses and Lasik consultation and co-management. Location and Hours: Our Optemtric office is located at 6537 Greenleaf Ave. Whittier, California. Insurance Information: A list of vision insurance plans that we currently accept. Useful Links: Links to office documents, eyecare links and local links. Dr. Aaron D. Adame is a Vision Service Plan provider.